The operations at the Goa airport located inside the naval base resumed after a brief halt. 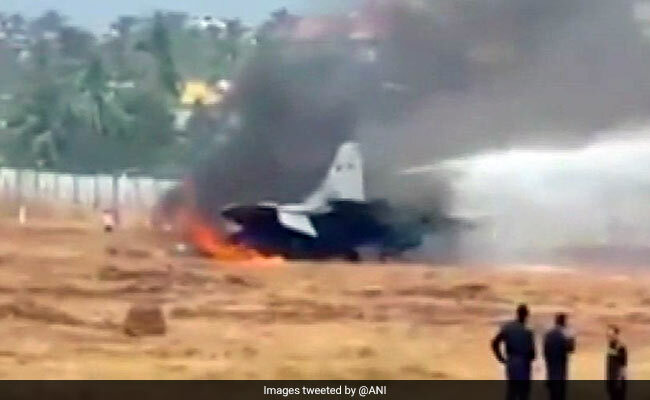 A MiG-29 K fighter jet of the navy overshot the runway at Goa airport and crashed today. The pilot, a trainee, managed to remove the canopy and walk away safely from the aircraft, which caught fire after crashing. The operations at the airport located inside the naval base resumed after a brief halt, a senior airport official said, adding that firefighting is in progress. Goa airport operates from the naval base INS Hansa. A statement from the Defence Ministry spokesperson said the incident occurred when the fighter jet, manned by a trainee pilot, veered off runway this afternoon. Some flights were delayed at Goa Airport as the runway was closed for operations for a brief period due to the navy's urgent operational requirements, Goa airport authorities said. This is the first MiG-29 to be lost by the navy which operates the jet off the aircraft carrier INS Vikramaditya. The fighter jet will also be deployed off the INS Vikrant, the first indigenous aircraft carrier being built for the Navy.